We offer complete repairs, tuning services and parts for your Harley-Davidson®. Are you worried that your Harley-Davidson® might not be performing to its full potential? If you are, you should visit Jarz Performance to get your bike’s performance checked. 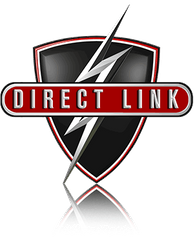 We offer Harley-Davidson® service and repairs in BC. Our services include repairs, customizing and full motorcycle building exclusively for Harley-Davidson® motorcycles. We specialize in dyno testing and upgrading your motorcycle with performance kits. Contact us to get working on your bike. Research and development is one of the major ingredients for success. At Jarz Performance, at least six months of the year are dedicated to testing every component listed on what eventually becomes one of our best-selling performance combinations. Hundreds of customers, be it performance touring engines or ‘up to double your horsepower leaders of the pack’ kind of riders, Jarz Performance has got what it takes to move you quicker than the competition. Plus, with our dyno testing and a range of performance kits, you will have the full support you need to enhance the performance of your Harley-Davidson®. Our inventory is stocked with a great selection of top-quality performance parts and accessories as well as all necessary hard parts to keep your V-twin rolling. You can visit us to browse through our engine kits, check out our dyno room or see our racing portfolios. Performance is our passion and we would be happy to assist you in extracting the full potential of your V-twin. This bike is a 2016 Road Glide with S&S 143" crate motor, Ohlins suspension, BST carbon fibre wheels, and Brembo brakes. Nothing like revving up your engine in a controlled environment to know the capability of your V-twin. Hook up your Harley-Davidson® with one of our high-quality performance kits to wake up your engine. 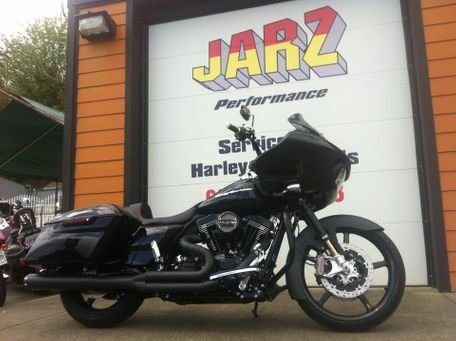 Jarz Performance has been offering service, parts, customization and complete bike building for over 20 years.